I get so many wonderful questions from my listeners about many of the topics covered on the podcast. 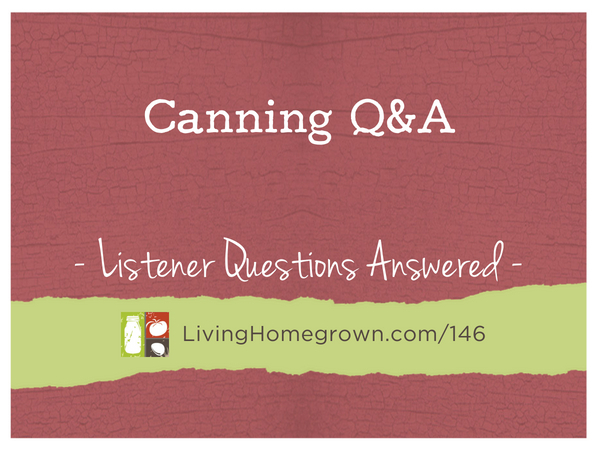 Long time listeners will know that one of the topics we used to cover A LOT is canning. It’s been awhile since we talked canning, and we’re coming up on canning season again, so it is time to freshen up our canning knowledge. For today’s episode, my team and I went through all of your canning questions and I answered a few for you to get you motivated for the gardening season.